7.1 Q: Are cowpeas a type of pea? 7.2 Q: What can you plant right after growing peas? Have you ever wondered how to grow peas? Peas are one of those tastes that embodies spring: a little crisp, a little sweet. Knowing how to grow peas means we always have access to that wonderful flavor. But peas have an interesting history, too! Interestingly, the Romans believed that fresh peas were poisonous, so they dried all peas before consumption. This was the common practice until a French gardener under the reign of King Louis XIV developed a pea hybrid called petits pois. These smaller, delicious fresh peas exploded in popularity with the king, and thus spread to worldwide appeal. While we think of peas as a vegetable nowadays, biologically the pod is considered a fruit, and the peas themselves are seeds. All peas are considered to be part of the legume family, along with beans and other podded produce. Without further ado, let’s dive into the world of growing Pisum sativum, the pea plant. We’ll go over how to grow peas, what environments are optimal, and even how to store them for eating later! There are three different varieties of the same plant species that we consider to be peas today. Let’s go over a few of the differences and some good varieties to grow for each. Also referred to as shelling peas, standard peas, garden peas, or common peas, these all fall into the botanical name Pisum sativum var. sativum. Once removed from the pod, these peas can be eaten fresh or stored in a number of ways. However, the pods of English peas are inedible. 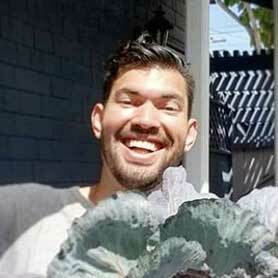 Fibrous and tough, they must be removed and either composted or thrown away. You can also simply bury your emptied pods in your garden patch to add valuable plant matter to the soil. 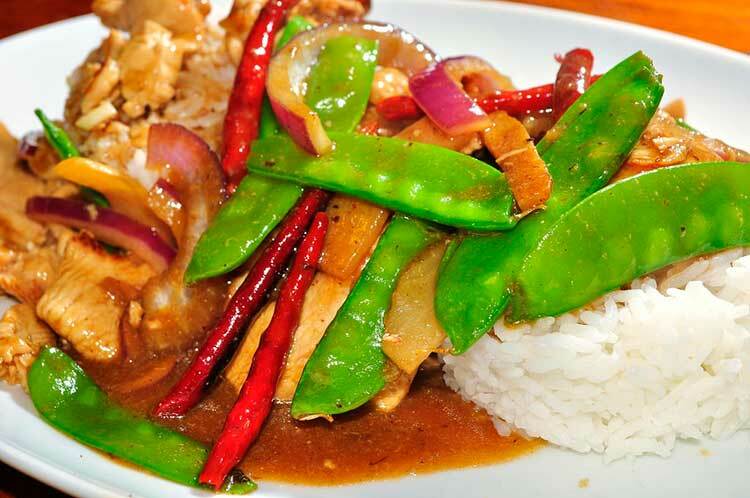 Most commonly referred to as snow peas, these peas are also called edible pod peas or Chinese peas. Pisum sativum var. saccharatum are best eaten when the peas inside the pod are just starting to form, so they’re also referred to as flat-podded peas. Once the seeds are mature, the outer pod is tough and fibrous and the pea seeds become bitter. At that point, they’re best used as seed peas for future gardening. 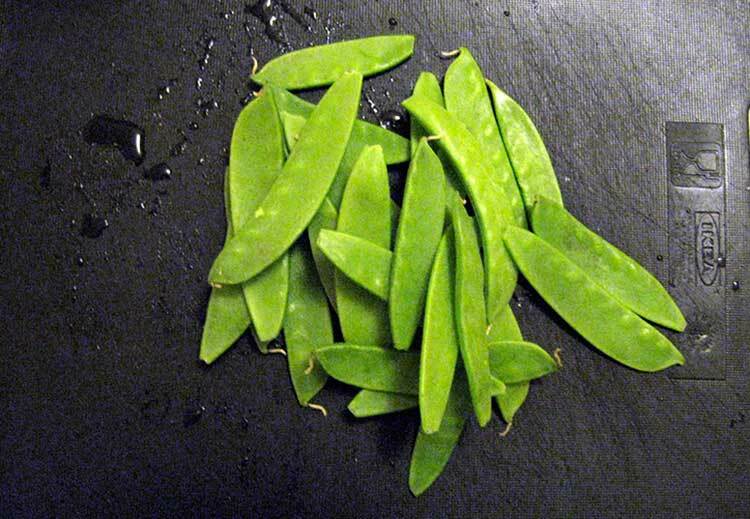 Sometimes called sugar snap peas, Pisum sativum var. macrocarpon combines the best of both above varieties. The peas inside the pod swell up and become sweet and flavorful like English peas, and the pod itself is edible and tasty. Snap peas are the best variety if you’re planning on harvesting the tendrils or young shoots of the plant to eat. These are the most popular type of peas amongst most home gardeners, although they’re the youngest type – the snap pea was developed in 1952! Peas are a cool-season crop. Most people plant them in the spring as soon as the soil is able to be worked, as they can tolerate light frosts. If the ground is workable year-round, plant six weeks before the anticipated last frost date. Fall planting is also an option. Plant 8-10 weeks before the first anticipated frost for best growth and the largest possibility of harvest. In California or the gulf states, many people grow peas all winter long and through the spring in frost-free areas. The cooler temperatures are preferred by the plants. 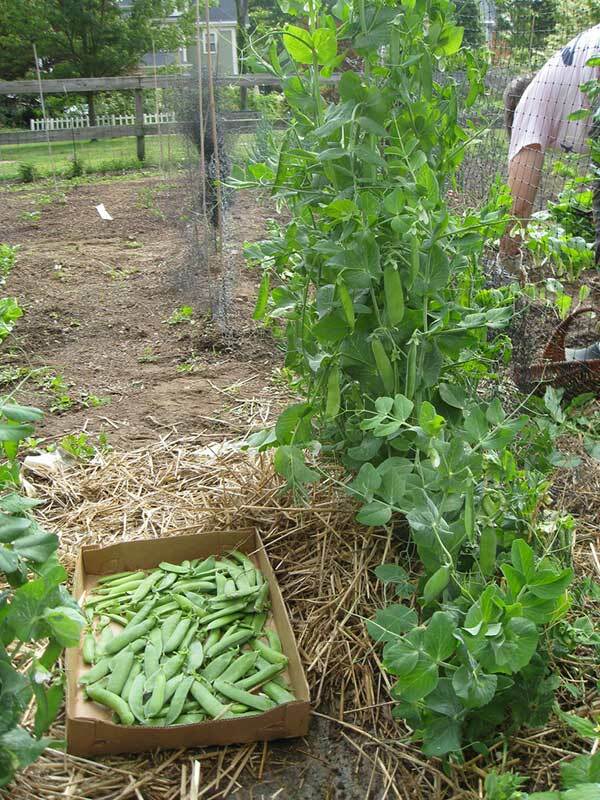 Gardeners who live in the south typically sow peas in mid or late fall. The seeds will go dormant throughout the winter and sprout as soon as possible in the spring. This ensures the earliest possible spring harvest. Unlike many other plant types, you will want to plant all of your peas at once, whether they are early-season or late-season plants. This will give your plants the maximum amount of time to grow and produce prior to it becoming too warm or too cold for them. Planting a variety ensures you’ll have a steady harvest over the space of a few weeks rather than a large crop all at once. 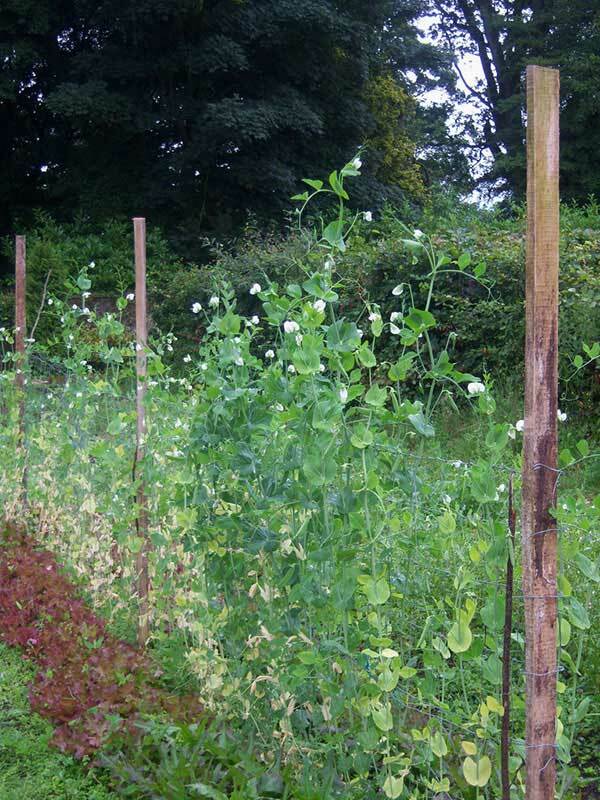 As peas are tolerant of partially-shaded conditions, you can plant your peas in beds that receive anywhere between 4-8 hours of sun or a mix of dappled shade and sun. This means that peas can go in areas that other vegetables can’t, which can be a real benefit! 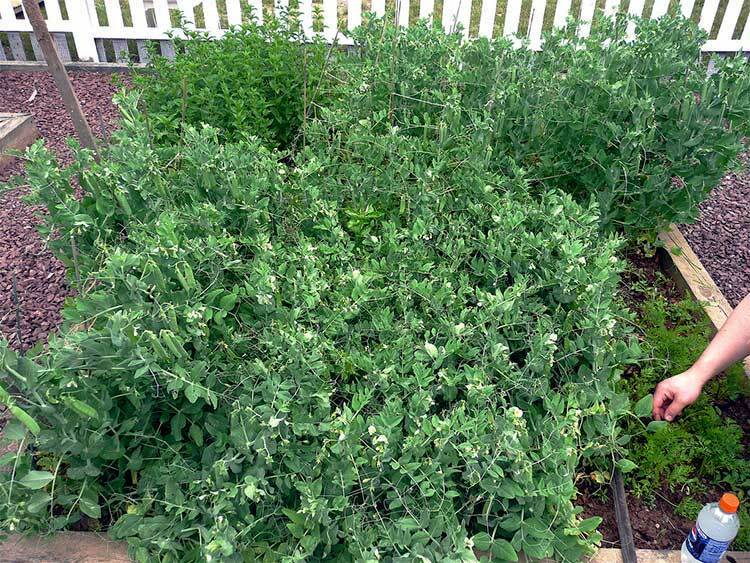 If you are planting a dwarf or self-supporting variety, peas can be planted nearly anywhere. However, vining varities will need to be trellised or staked to offer support as they grow. Larger pea plants require more support. 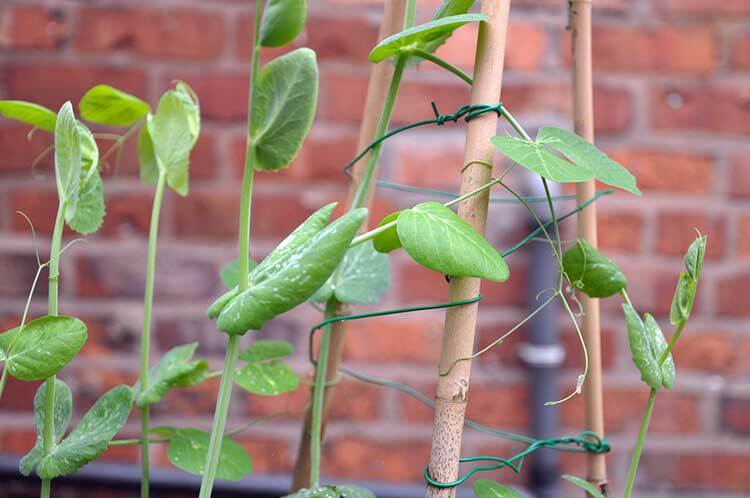 If you’re planting a variety which is anticipated to reach 5-6’ in height, have your trellis in place when you plant so that the peas can climb. Avoid planting in areas which get high winds, as pea vines are quite sensitive and can be damaged if blown off their supports. Peas prefer to be direct-sown deep in the soil, unlike many other types of seeds. Plant your peas 1.5-2” deep, with two peas per hole. Once they have sprouted, thin as necessary per seed packet directions. 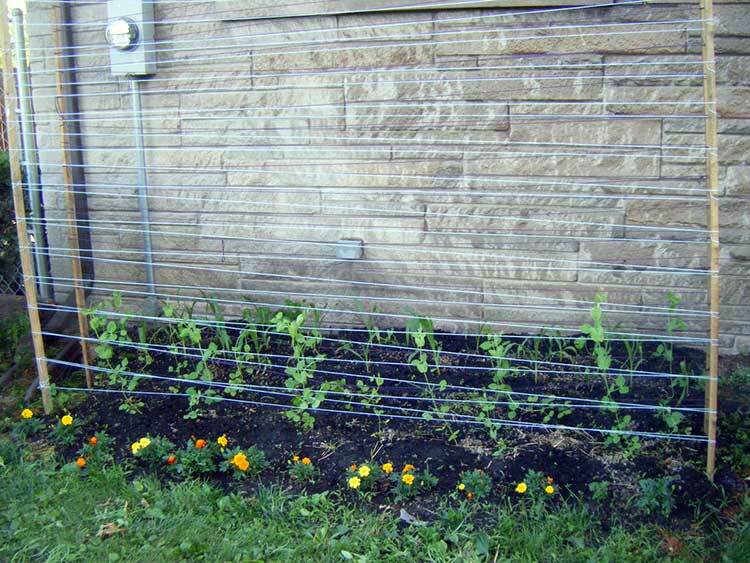 You can do a row of peas on either side of a trellis to increase the size of your crop yield. Self-supporting varieties do not require support, but can sometimes benefit from it if they are heavy-producing types. Pea plants will benefit from an inoculant like Rhizobia that helps them to absorb nitrogen from the air as well as from the soil. Inoculants are available as a powder. Wet the seed and roll it through the inoculant just before planting for best growth. While peas can handle full sun (8 hours a day) conditions, they are more tolerant than other plants of part-shade conditions. The minimum ideal amount of light is 6 hours per day, but you can grow peas on as little as 4 hours of full sun if they get occasional dappled shade. 55-70 degrees Fahrenheit is the perfect temperature for pea production. They can grow well in cooler temperatures as well, but may not produce as heavily until the temperature warms to 55 degrees or higher. Peas don’t like hot conditions at all. Temperatures that regularly reach 75+ degrees will start causing your plants to experience heat stress. Over 80 degrees, they will begin to wilt and die back. You’ll need your plants to reach full maturity and produce before the weather gets too warm. It can be tricky to find the right balance of moisture for your pea plants. While peas do like moist soil, they don’t like wet soil as they can become susceptible to root rot. It’s easiest to water about a half inch per week during germination and when the plants are small. 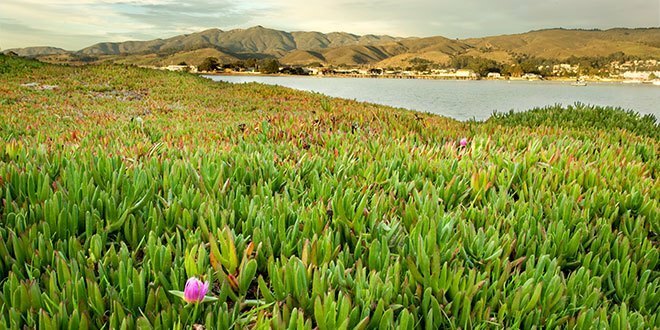 Gradually increase to 1” of water per week to promote production when the plants reach their full size. Warmer weather can cause the soil to dry out quicker. Place about 2” of mulch around your plants to keep the moisture from evaporating. The goal is to keep the soil uniformly damp. A sandier soil will spur peas to produce more quickly, but overall, peas prefer a well-draining loamy soil with lots of organic material. Organic matter like compost will absorb any excess water and hold it in reserve for the plants. If you are planting in the fall, your peas may like a richer and denser soil than in the warmer months. This helps protect their roots in the cooler weather of the fall months. Peas prefer a soil pH between 5.6 and 6.8, so it’s good to do a soil test to optimize your soil. They are nitrogen-fixing plants, which means they will help supplement and replace nitrogen in the soil. Generally, peas do not require much fertilizer. If you wish to use one, you can use a balanced low-NPK fertilizer just to offer a small boost. However, if your soil is organic matter-rich and has some aged compost or aged manure worked into it, there’s no need for fertilizer at all. When the plants are about 6” in height, it’s good to spread a thick layer of compost around the plants to add a little extra nutrition and to try to maintain soil moisture. Otherwise, they need little by way of extra fertilizer. While the self-supporting shorter pea varieties don’t need much by way of training, the vining types may need an assist. 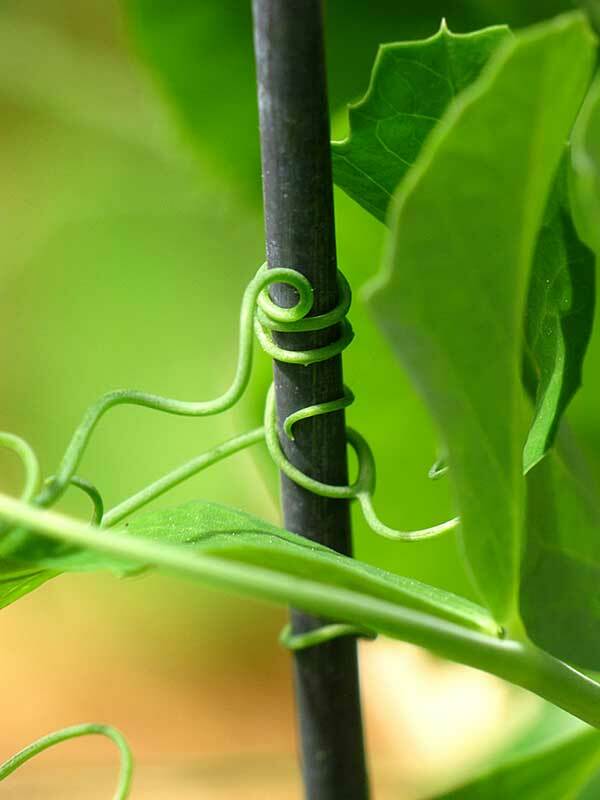 As the plants grow, help them by hooking the tendrils onto the bottom of your trellis. You can use either a trellis made of strings attached to posts, or a commercially-made wooden trellis. The pea tendrils, the little curling tips of the vines, will wrap around the trellis and hold on. As they continue to grow, they may occasionally require a little direction. Even without any human assistance, they’ll find their way up on their own. While peas do not require much by way of pruning, many people will harvest small amounts of the pea tendrils or shoots. Tender and tasty, these young bits of the plant are edible and are a good addition to salads or other culinary uses. If you wish to harvest tendrils and shoots, wait until your plant has gotten above the base of the trellis and is anchored. Trim the first pair of leaves and any attached tendrils beside them, leaving all other leaves and tendrils to hold on. This encourages the vine to fork and produce more growth. When your harvest is over and you don’t anticipate any further produce, cut off all of your pea vines at ground level. Mulch the pea greens, and leave the roots in the ground to deteriorate and release all of their nitrogen back into the soil. Unlike many other plants, peas are easiest to propagate from seed. If you wish to harvest seed from your plants, allow some fat, perfect-looking pods to remain on the plant. The higher the quality of the pods you leave, the better the seeds will be, so choose optimal peapods. Leave the pods on the plant. Over time, they will yellow and dry out. You will know it’s time to harvest your pea seeds when the seeds rattle inside the pod. At that time, pick your pods and remove the pea seeds. Dust off any chaff or material that’s clinging to the exterior of the peas inside, spread them on a tray, and allow them to dry further in a comfortable indoor location. Any chaff that remains on the peas could rot or mold, so it’s important to be sure the seeds are clean. Once these have dried further for a few days, place your peas into a clean and dry envelope. Add a dessicant packet to remove any moisture from the envelope, seal it, and mark it with the date. Your seeds should remain viable for up to three years. Before planting your home-harvested pea seeds, place them in water for 12-24 hours to allow them to absorb some moisture. When you go to plant, coat your seeds in an inoculant powder and then plant them as described above. Unlike most other plants, peas do not do well as transplants. They have fragile, delicate roots which can easily be damaged. If you want to risk it, I recommend using a peat pot that can be planted directly in the soil. However, it is best to direct-seed your peas. The typical yield for 1 pound of seeds is around 1 bushel of peas, or 2 bushels of pea pods, depending on what type of pea you are growing. You’ll be able to plant one 100 foot row with a pound of seeds. To maximize space in your garden, plant peas with spinach, lettuce, radishes, or any other fast-harvest plant. You can also plant with potatoes or cucumbers. The only vegetables that they don’t do well with are onions and garlic. Most types of peas are best when they’re fresh off the plant! This holds true for all three major varieties of peas. However, they can be stored. Let’s go over the best ways of harvesting and storing your peas for use. Harvest of your pea crops should happen in stages, with different types of peas harvested at different points of their development. English peas should have reached their full pod size, with the peas inside the pod feeling full-sized but still tender. They should still be plump with water unless you are harvesting seed. 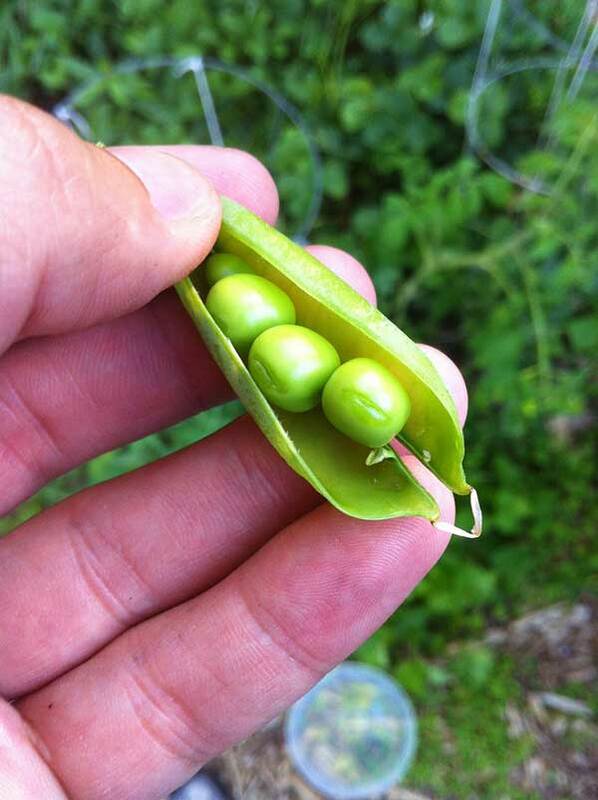 Snow peas should be harvested when you can see the beginnings of seeds inside, but while the pods are still flat. This ensures you will get tender, sweet peas and pods. 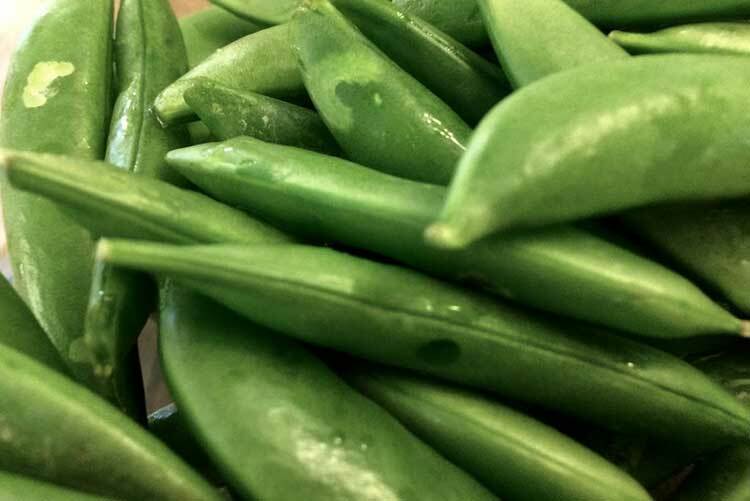 Snap peas should be harvested for eating when they are completely plumped up and have gotten close to or reached their full pod size, but while they are still juicy and fat. If growing to harvest seeds, leave the desired pods on the plant until the pod has dried out and the seeds rattle around inside. Harvesting should be done by using scissors or clippers to snip off the stem just above the pea pod. Alternately, if you don’t have scissors handy, you can use one hand to hold onto the pea vine while the other hand pulls the pea free. This prevents the vine from getting damaged. Using your peas within a few hours of picking them will net you the best-tasting peas you’ve ever had. However, if you have too many to eat in a short time, or want to store for the winter, you have some options. Most English peas can be canned. As peas are a low-acid food, you will need to use a pressure canner to prevent spoilage. You can freeze all three types of peas. Snow peas and snap peas can be frozen in the pod. The snow peas will withstand this process easier than the snap peas will, and lose less moisture while frozen. English peas need to be shelled before freezing. All types of peas should be blanched in boiling water and then placed into ice water to stop the cooking process, then dried thoroughly before freezing. Both snap peas and snow peas can be freeze-dried as well, although snap peas are better for this process. This creates a crunchy, delicious dried pea snack. Once freeze-dried, store in an airtight container with a dessicant packet added to remove any moisture. You can also dehydrate peas, both in-pod and out. Dehydrated peas should also be stored in an airtight container with a dessicant packet. Dried shelled peas can last for 4-5 years in an airtight container, whereas in-pod peas will last for less time and should be used within a year or two of harvest. Store your preserved peas in a cool, dark, and dry location like a pantry or cupboard. If you’ve harvested peas and want to save some for later, refrigerate them. In-pod peas should be washed, dried, and placed into a ziplock bag with a paper towel in it and with the air pressed out. The paper towel will absorb any excess moisture and keep them fresh. Keeping them airtight will help them store for longer, but they will only last for a few days at most. I recommend using within 3 days for best flavor. Pea tendrils and pea shoots should be eaten the same day as harvested. These do not store well at all, so if they are not going to be used, compost them or turn them under the soil surface. Peas can often be a little tricky to troubleshoot, as they are susceptible to a wide variety of pests and diseases. Even if they are not diseased or infested, they can occasionally have other problems. 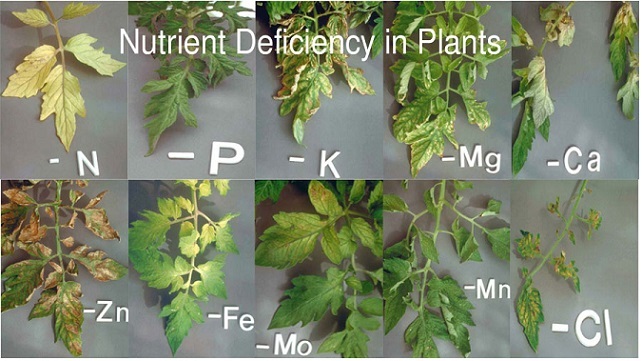 If your plants are vining well but are producing no flowers, you may have a lot of nitrogen in your soil boosting plant growth. This is a good time to pinch back the ends of your vines, harvesting those tasty pea shoots and tendrils for a salad. By pinching them back, you encourage flower production. Woody, fibrous pods are caused by not harvesting your peas early enough. To avoid this, check your pea plants regularly and harvest pods right as they ripen. 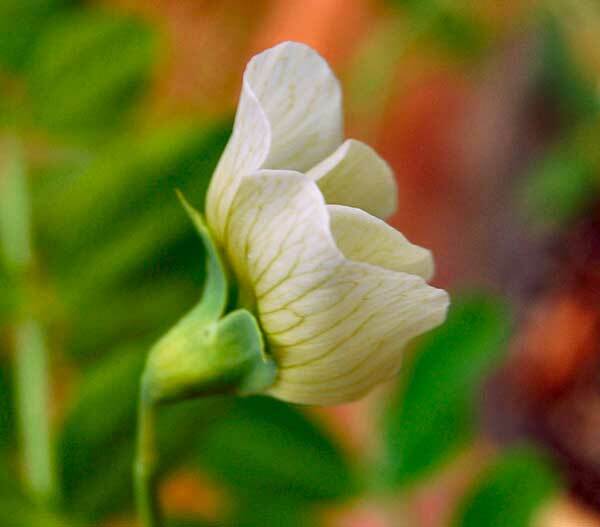 A pea plant can continue to produce more peapods throughout its lifespan, and regular harvests can encourage more pod growth. 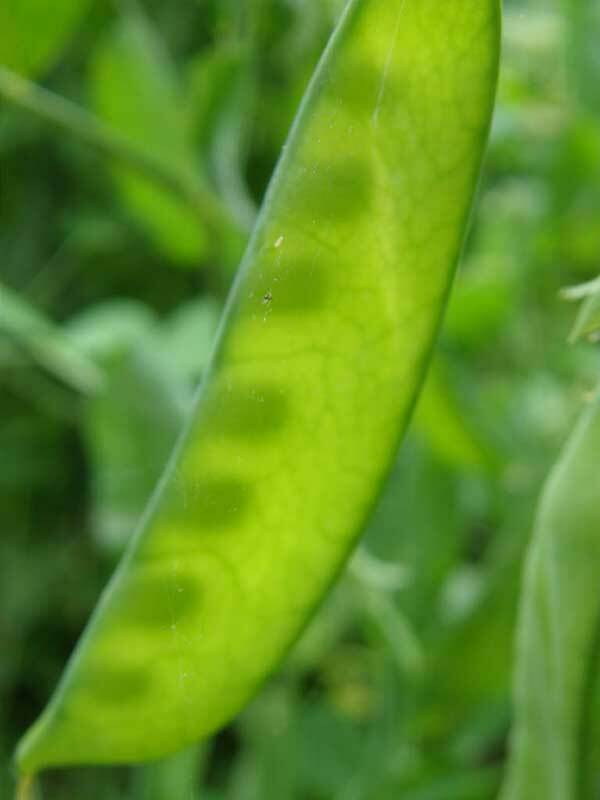 Pea plants that stop producing pods and then begin to yellow are suffering from too much heat. They can rapidly die at this stage if the weather does not turn cool again. In warm regions, early varieties or heat-resistant cultivars is the best way to avoid this problem. Some types of root maggot will devour the tender roots of pea plants. These can be complex to combat, but I recommend maintaining a colony of beneficial nematodes in your soil to help with soil-level pests. Cutworms love to chew through pea vines. You can help prevent this by placing a collar or tube around the base of your plant, pressed slightly down into the soil. This will keep the cutworms at bay. Thrips, spider mites, and aphids all can congregate on peas, both the fruit or the vines themselves. All three of these sap-sucking pests can be wiped out by spraying a coating of neem oil on all plant surfaces. If you’re finding tunnels in your leaves, they may be under attack by leafminer larvae. Remove any leaves which are infested and destroy them. Cucumber beetles will happily consume peas as well. Some cultivars of pea are resistant to pests. If you have seen cucumber beetles in your yard, it’s wise to plant those resistant cultivars, and mulch around your plants to slow their progress. Armyworms can skeletonize the leaves of your plants. For these, BT dusts or sprays will help you eliminate them. Bacillus thuringiensis (BT) is a bacteria which will poison most caterpillar species. I’m partial to Monterey BT. Finally, the pea weevil can cause notched leaves and holes in flowers. Use a pyrethrin spray such as Safer Brand Yard & Garden Spray to kill off weevils. This can also wipe out other beetle species. For most of these insects, the use of floating row covers over your plants can help protect them from infestation. Damping off, or seedling wilt accompanied by a dark, water-soaked stem, is caused by a fungal infection in the soil. This fungus is common in humid areas. To avoid it, plant your seeds in warmer soil that is well-draining, and rotate your crops annually to prevent fungal development. Crown rot and root rot are problems for pea-growers. 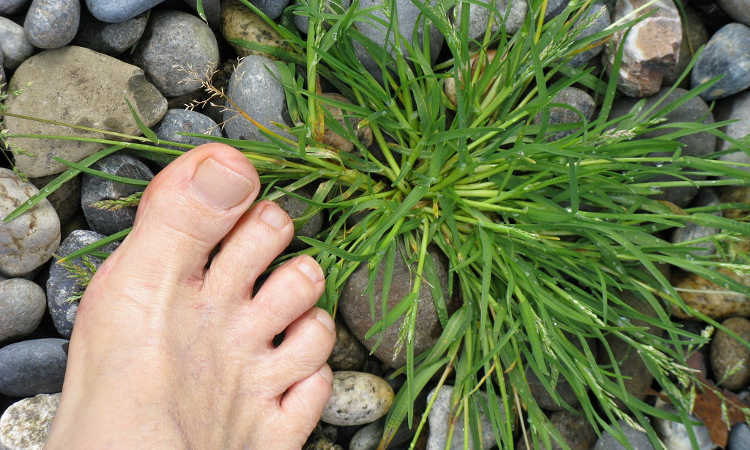 Improve your soil drainage, and destroy any plants which are suffering from these rot issues. Another fungal disease which regularly plagues pea vines is anthracnose. This fungus responds well to copper-based fungicides such as Bonide Copper Fungicide. Both powdery mildew and downy mildew are risks in your pea patch. Both can be treated with a fungicide such as Bon-Neem, but also respond well to regular applications of neem oil. Finally, there are a few things which require the plant to be destroyed when they are discovered. While there are no treatments for these diseases or viruses, catching them quickly on one plant can help protect the rest of your crops. Fusarium wilt causes yellowing of the leaves and an orangish discoloration on the stems of plants. It resides in the soil. Avoid planting susceptible plants in that location for a few years or remove and replace the soil in that container. Mosaic virus is spread by aphids and leafminers. This causes dark and light mottling on leaves and distortion of the leaves. To protect your garden from mosaic virus, eliminate aphids and leafminers before they can spread the virus to your plants. 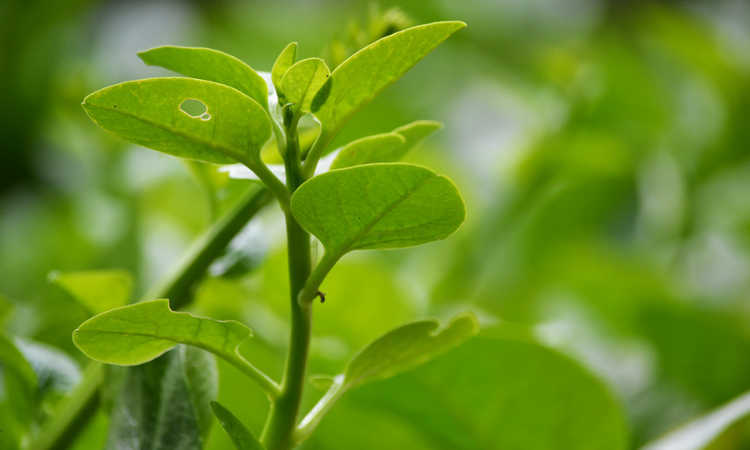 Pea enation virus is also spread by aphids, and is fatal to your plants. If both your plants and their pods are showing deformation, and there is blistering to the leaves, remove them and destroy them. This is also spread by aphids. Q: Are cowpeas a type of pea? A: While their name might imply it, cowpeas are not peas. While they are also classified as a legume, cowpeas are actually a type of bean. Also called black-eyed peas, crowder peas, southern peas, and yardlong beans, cowpeas have different needs than peas do for optimal growth conditions and shouldn’t be mixed up with the other peas. They are best grown if treated just like beans. Q: What can you plant right after growing peas? A: A common choice right after growing peas in a patch is cucumber, as they can often use the same trellis to grow on and can be trained to grow upright. However, if you’ve had any issues with fungal soil infections like fusarium wilt, choose resistant cultivars. Cucumbers love the added nitrogen that deteriorating pea roots leave in the soil. If you’ve found cucumber beetles in your peas during the season, avoid planting cucumber. Consider instead a crop which is not susceptible to cucumber beetle damage. Are you pumped up to plant peas? This delectable cool-season crop is well worth the time and effort! Tell us your favorite types of peas in the comments below! love this…. and the pup too!! My dogs follow me out to the patch everyday and sit drooling till they get some!! lol…. Hahaha. Don’t let them eat your entire harvest!